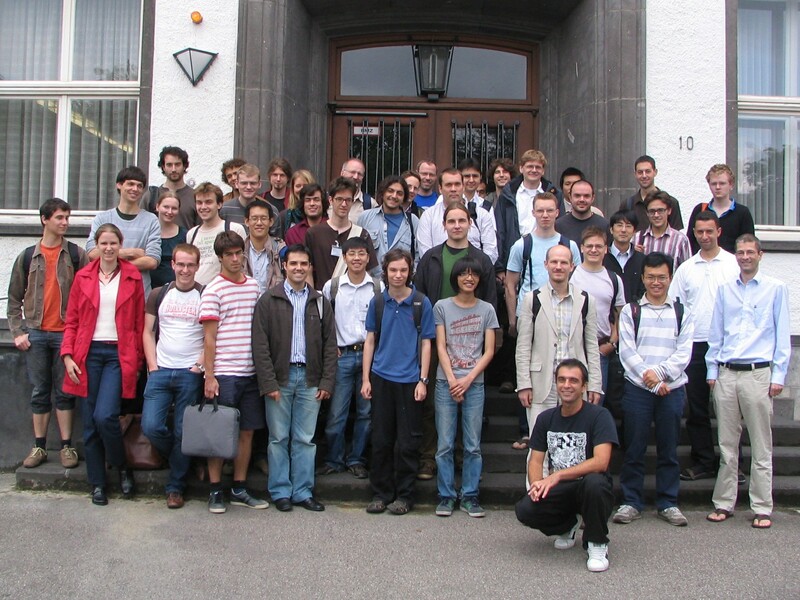 From February 22nd, to Friday, February 26th, 2010, a winter school will be held in Freiburg, organized by Stefan Kebekus, Annette Huber, Sebastian Goette, and Wolfgang Soergel. The school aims to introduce the audience to the theory of perverse sheaves, culminating in the decomposition theorem of Beilinson, Bernstein, Deligne and Gabber. The emphasis is on trying to convey the geometric significance of these ideas and their direct connection with classical facts of algebraic geometry. Several examples will be discussed in detail along with some important applications, mostly coming from representation theory. You can now register for the summer school. We will cover accommodation and travel expenses of members of the Sonderforschungsbereich TR 45, and for a limited number of other participants funding is available for accommodation in Bonn (and maybe for travel expenses in exceptional cases).